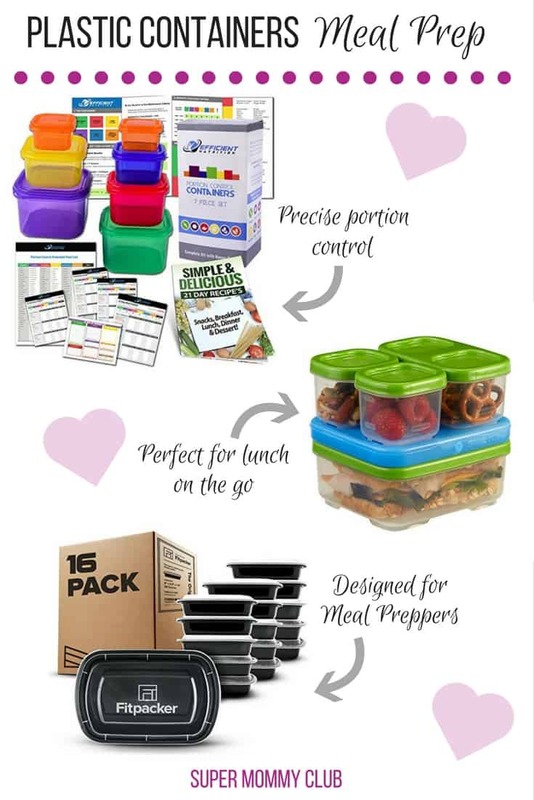 If you need to add some more containers to your collection so that you can maximise your meal prepping efficiency you’re probably wondering which are the best plastic meal prep containers (BPA free) to buy. Which is why we pulled together this list of our favourite storage boxes and lunch boxes for meals on the go. 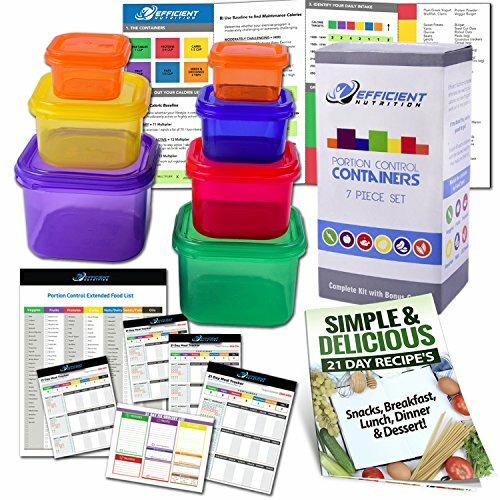 If you’ve heard of the 21 Day Fix programme from Beachbody then you might already know about these smart containers. If the reason behind your meal prepping is to lose weight then it’s super important that you get your portion sizes just right and these containers are the easiest way to do it. Just fill each pot with the right food group and you’ll have the exact portion that you need of each one. They’re not used for storage, just for measuring. Think of them as smart measuring cups! 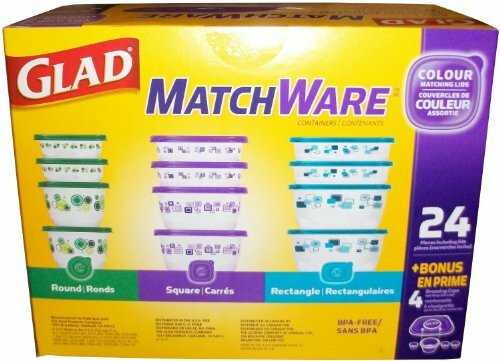 It’s useful to have different sized storage containers which is why this set is so popular. It comes with four round containers, four square and four rectangular. You also get four bonus dressing posts which cleverly snap into the lid so you don’t need to apply your sauce or dressing until you are ready to eat. The lids fit tightly so you don’t have to worry about leaks, and they can safely go in the fridge, freezer, microwave and the dishwasher. One of the downsides of using plastic boxes is they can be a nightmare to store, but not with this easy find lid system from Rubbermaid. All the lids lock together and then attach to the bottom of a stack of boxes. Genius! One lid will fit multiple bases too so it’s easier to match them together. 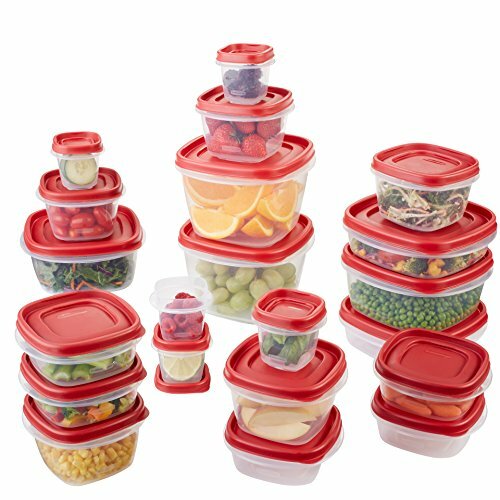 We love that the 42 piece set has a wide range of sizes for storing different food types. The lids all fit snugly so you don’t have to worry about leaks, you can even use them for soup. To open and close them make use of the tab on the corner of each lid to save your fingertips. They are freezer, microwave and dishwasher safe. 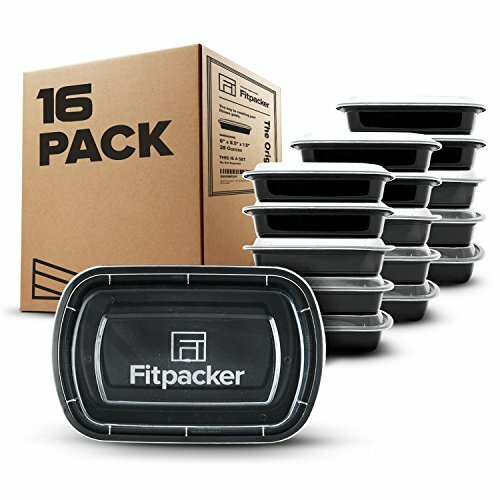 If you would prefer all your containers to be the exact same shape and size then these portion control boxes from Fitpacker are a great option. 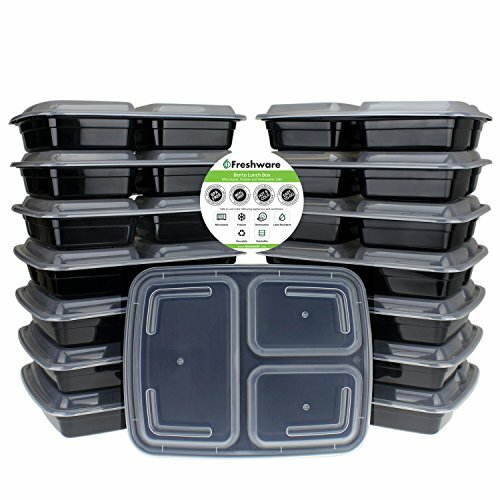 The black plastic containers were designed specifically for meal preppers so they are freezer safe, microwave safe (without the lid) and can stack neatly in the top of the dishwasher for bulk cleaning. And of course they stack neatly in the fridge too which is important if you are prepping a whole week of meals. 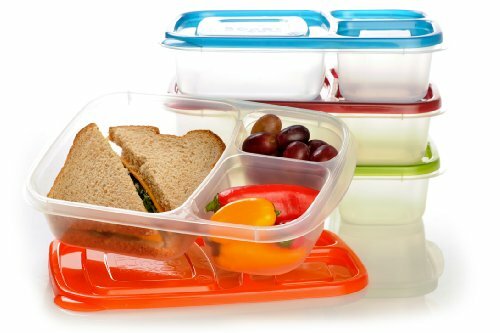 If you would prefer 3 compartment meal prep containers so that you can keep your food items separate then this 15 pack set from Freshware. The bento style box is made from black BPA free plastic and has three compartments (one large and two small) making it a great bento style lunch box for grownups and kids too. 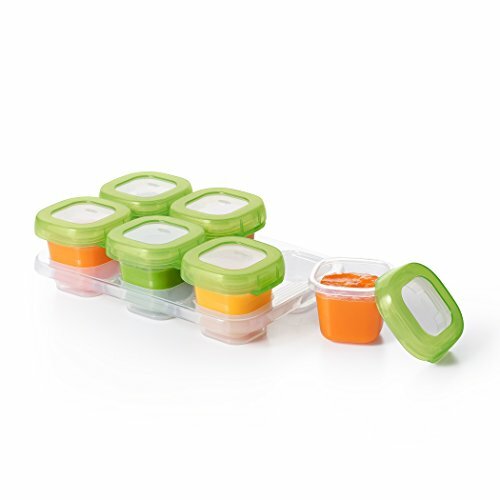 Ignore the baby food reference because these stackable 2oz containers are a perfect addition to your meal prepping storage. They’re great for freezing sauces, herbs or stock. You can also use them for carrying peanut butter to go with your banana or apple slices at snack time. 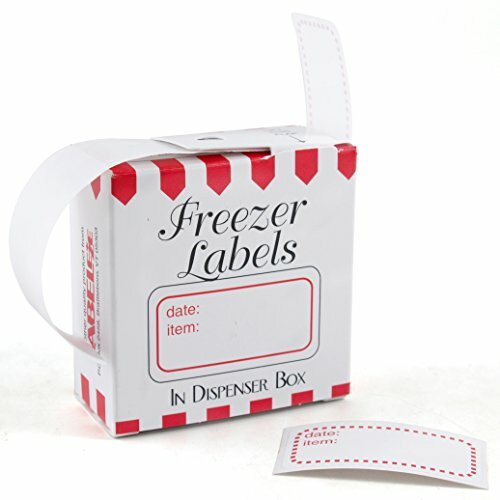 While you’re stocking on on plastic containers don’t forget to add some freezer labels to your basket. You need to know exactly what’s what in your freezer and also in your fridge too so make sure you take the time to label everything! You’re going to be storing lots of veggies as part of your meal prep routine so it’s worth investing in a couple of these product savers. 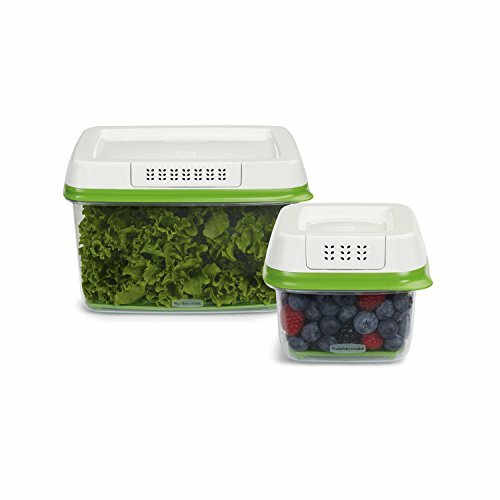 The small box is perfect for berries, the medium one for strawberries and the large one for your leafy greens. Each box has a layer at the bottom which keeps the moisture away from your fruits and veggies so they last longer, and there’s a vent in the top too to allow the air to circulate. Rubbermaid say that produce stays fresh for 80% longer than if you left it in the store packaging. If you don’t want to carry your lunch in a black plastic container but you do still want 3 compartments then check out these Bento style boxes. They come in a set of four and each one has a different coloured lid. If you assign a colour to each family member they’ll be able to find their lunch in the fridge super easy! These lunch boxes have been designed with kids in mind so the lids fit snugly but can be removed easily. That means they’re great for solid food but don’t try and carry soup or other liquids in them or you’ll end up with a puddle at the bottom of your bag! They fit nice and snugly inside the EasyLunchboxes cooler bag. 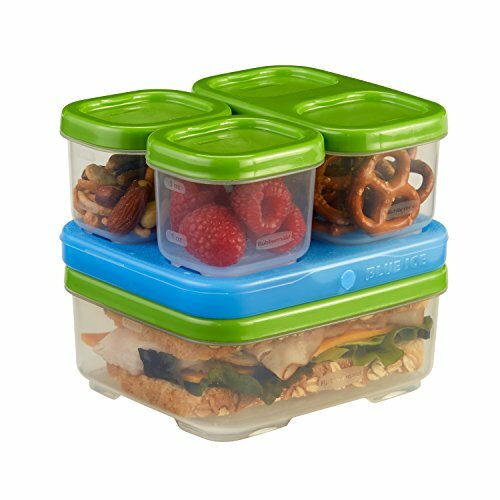 This modular kit from Rubbermaid is another great option, especially if you like to carry a lot of individual snacks with you for a long day. It’s made up of one large container, four small cube containers and an ice pack. Everything snaps together so you don’t need to worry about losing bits in your bag, and the ice pack keeps every thing cool. All of the containers are BPA free, microwave, freezer and dishwasher safe. 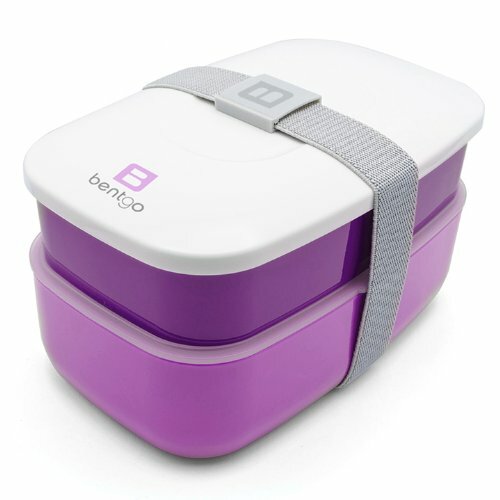 We also like this bento box from Bentgo which stacks together and is held in place by a handy strap. The containers nestle inside each other for easy storage and it comes with a plastic knife, fork and spoon. The one thing we don’t like about this is the central divider can’t go in the microwave or the dishwasher, which means you have to remember to remove it. Next PostNext 12 Home Decor Ideas on a Budget that Will Make Your Friends Jealous!